“On face value, in Southern California, getting rid of a freeway is sacrilegious,” said Brian Ulaszewski, executive director of nonprofit urban design studio, CityFabrick. 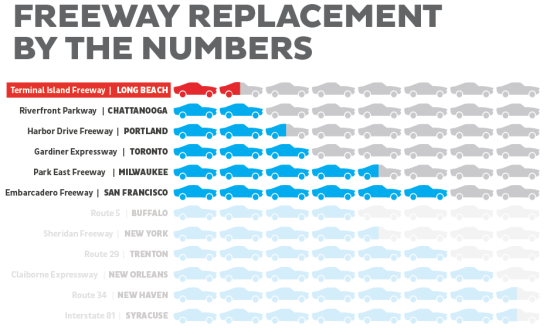 Yet that’s just what officials in Long Beach are preparing to do, joining a growing number of international cities looking at highway removal. Using funds from the California Department of Transportation’s Environmental Justice Grant Program, the city, along with CityFabrick, will convert a one-mile stretch of the Terminal Island Freeway into a local road surrounded by more than 20 acres of parkland. 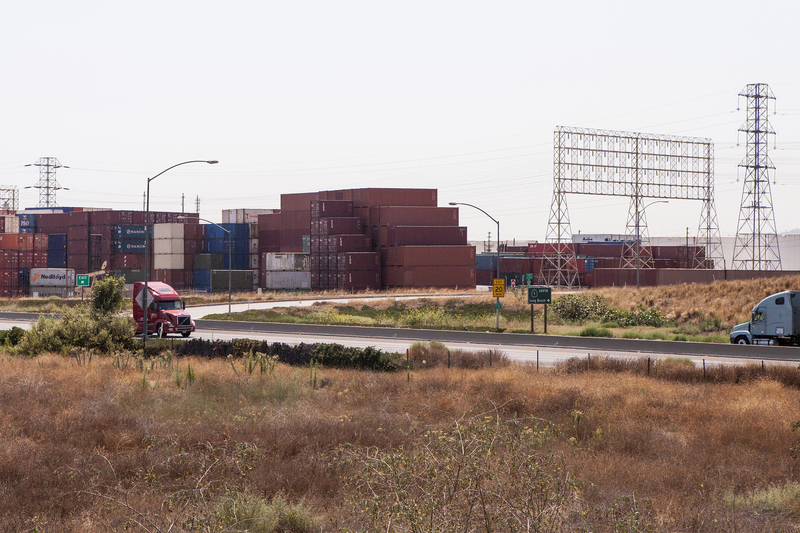 Terminal Island Freeway is ripe for removal for two reasons, according to groups behind the removal. First, it’s redundant. Part of the 1950s master plan for freeways in Southern California, the road was originally designed to extend from the Port of Long Beach past downtown Los Angeles. But only 3.5 miles of the freeway were actually built, and today it dead-ends in a rail yard in Long Beach’s Westside neighborhood. Second, the Terminal Island Freeway doesn’t carry very much traffic. About 14,000 vehicles per day travel on the road, less than the amount of traffic rerouted by other freeway-removal projects, including the Harbor Drive Freeway in Portland and the Gardiner Expressway in Toronto. Instead, Ulaszewski said, the traffic volume along the Terminal Island Freeway is comparable to what Long Beach’s “Retro Row”—4th Street—carries. Retro Row isn’t an expressway. It’s a surface street with one lane in either direction, plus a center turning lane. The Terminal Island Freeway removal project evolved from a comprehensive redevelopment proposal by CityFabrick. 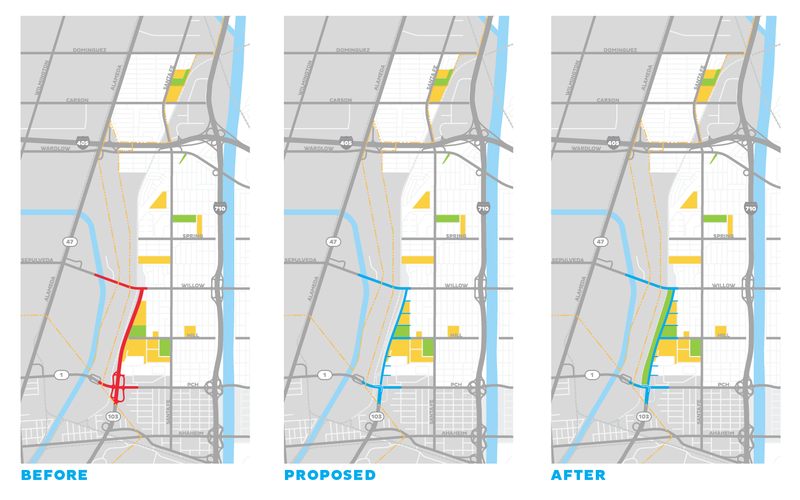 In addition to the freeway removal, the proposal, called The Yards (PDF), contemplates the relocation of Long Beach’s intermodal container transfer facility (ICTF); the creation of open space along Southern California Edison’s electricity right-of-way corridor; the realignment of the San Pedro Branch Railroad to bypass West Long Beach; and the conversion of existing school recreation areas to joint use. 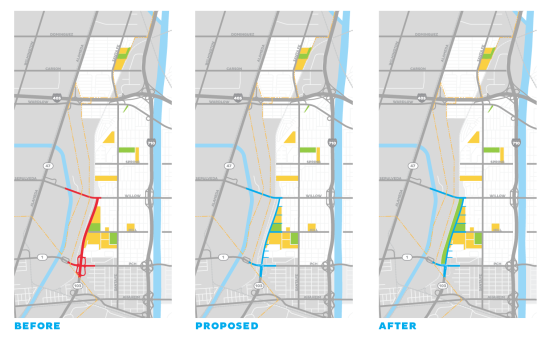 If enacted in its entirety, The Yards would add up to 350 acres of green space to the Westside. Ulaszewski explained in an email that the fate of the other elements of the proposal has yet to be determined. The Environmental Impact Report on the ICTF relocation is due within months, and the other projects may find a place in the pending update of the Land Use Element of the Long Beach General Plan.